Project 2521: T. P. Carvalho, J. G. Lundberg, J. N. Baskin, J. P. Friel, R. E. Reis. 2016. 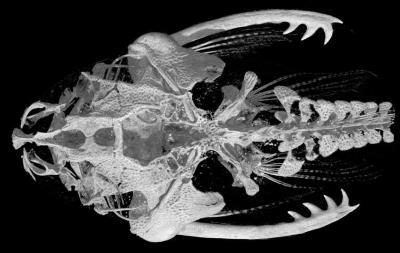 A new species of the blind and miniature genus Micromyzon Friel and Lundberg, 1996 (Silurifomes: Aspredinidae) from the Orinoco River: describing catfish diversity using high-resolution computed tomography. Proceedings of the Academy of Natural Sciences of Philadelphia. 165 (1):37-53.